It's now time to learn how to draw a cartoon butterfly using a great template and some easy step-by-step drawing techniques! Don't be afraid! 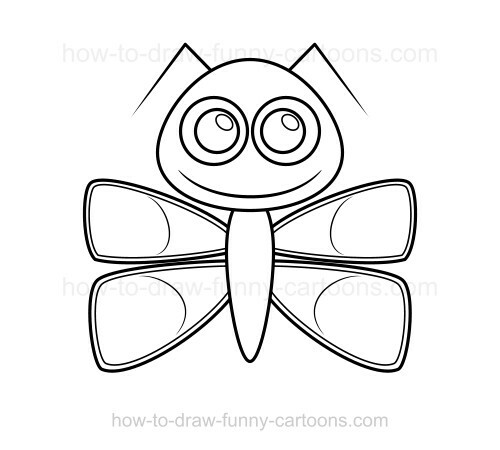 Even young kids can achieve this simple drawing tutorial in just six steps. Every single element of the cartoon character was simplified to make sure that everyone trying this lesson would be able to complete it! 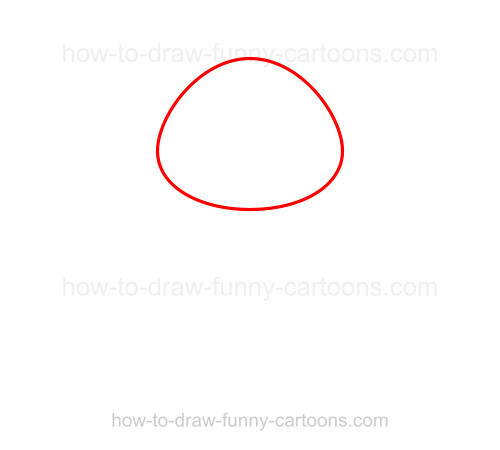 First, you must sketch the head using a wide oval shape like shown below. Notice that this is not a perfect oval shape. The top is narrower while the bottom is more flat. Next, draw the body using a long pointed shape. Make the body thin and wider near the neck. 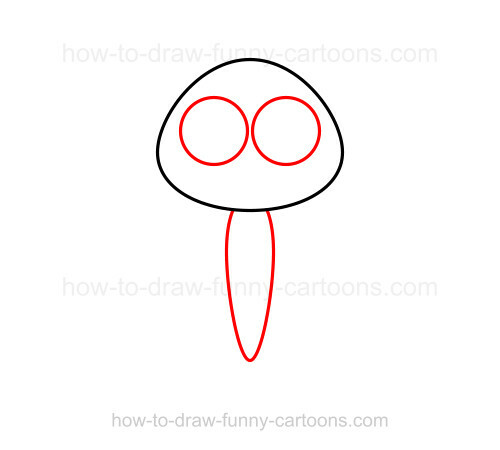 You can also illustrate the eyes using two large circular shapes. 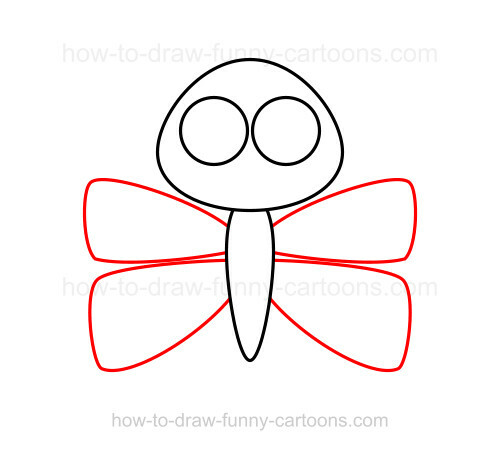 The wings are made from rectangles with round corners. The part near the body must be smaller and narrower. 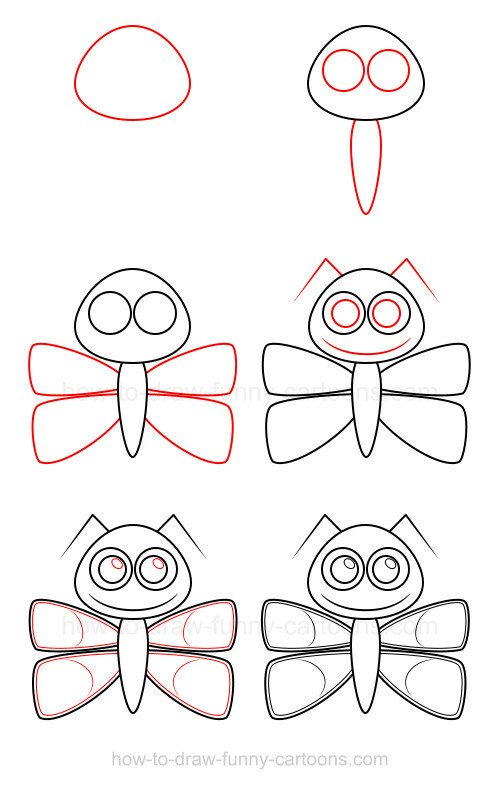 Also, you can draw the bottom wings wider or thinner just to create something visually more interesting. In this case, the top wings are smaller (but it's usually the opposite). Antennas are drawn from a simple pointed line. You can also use a similar line to represent the mouth. However, this new line must have a small curve in it. Finally, add the pupils using small circles. Nice work! 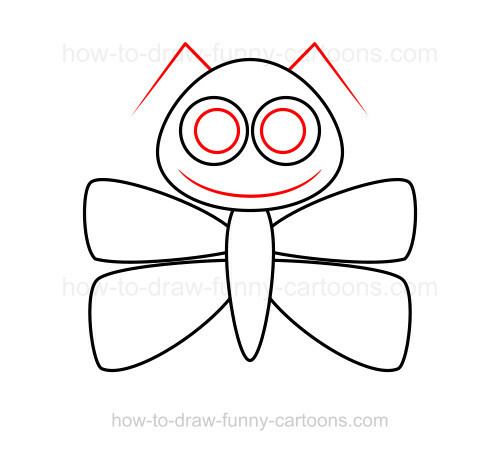 This fun cartoon character is not so tough to create if you take your time and practice often. 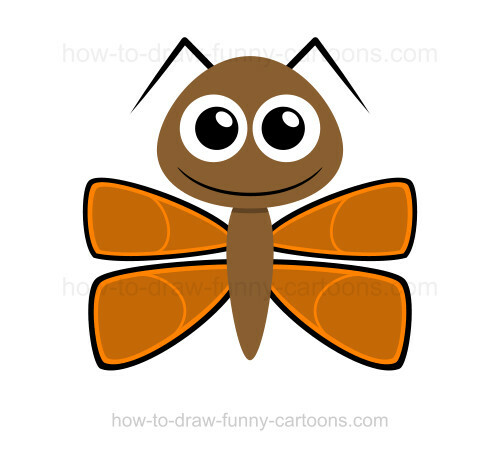 It's a cute cartoon insect that anyone can draw within minutes!